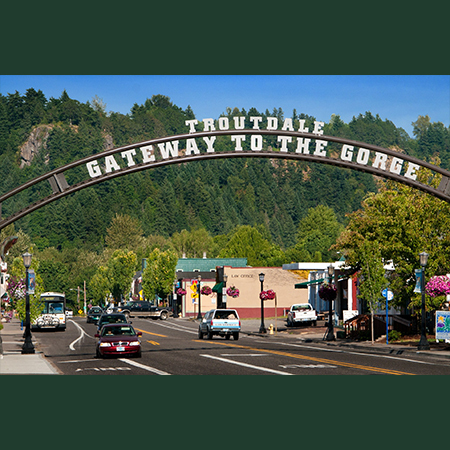 Fun for the whole family in one of Oregon’s most scenic areas! One-of-a-kind 6.7- mile run and walk in the country. Registration in advance is appreciated. Sign-up and registration the day of the race is at Glenn Otto Community Park by the Sandy River, just east of downtown on the Historic Columbia River Highway. Runners/walkers will start at different times in front of Glenn Otto Park. The course winds through downtown, south on Troutdale Road, then east on Stark Street, through the lush countryside, across the Stark Street Bridge, then back along the scenic Historic Columbia River Highway by the Sandy River, returning to the finish line at Glenn Otto Park. Mile markers will be posted along the course. Refreshments and awards will be inside the Sam Cox building at the Park.